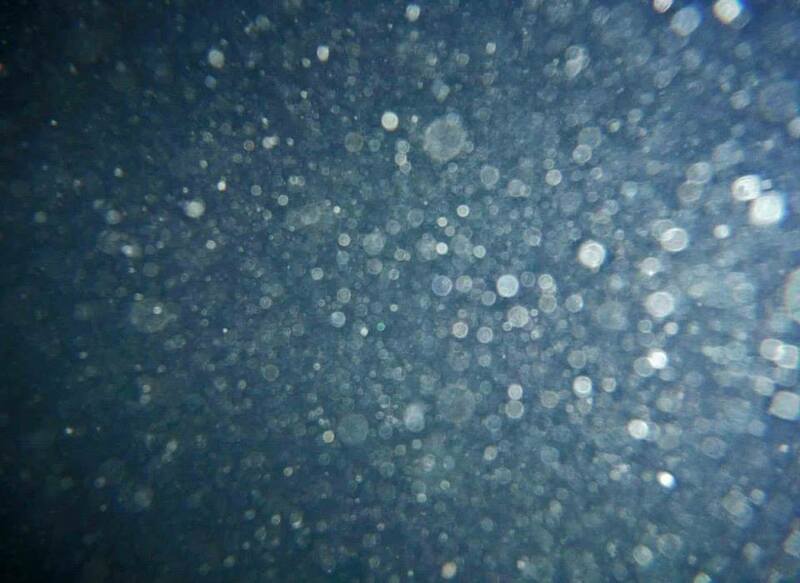 The last few years have seen at least one night swim for small groups of four or five at the most. 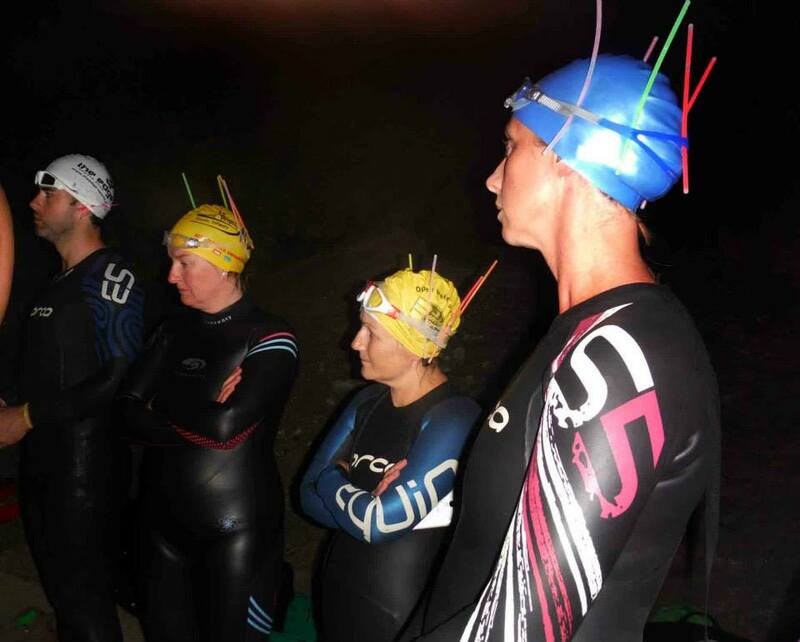 Last night was the first large scale night swim and one that will likely become an annual event, as everyone loved it. 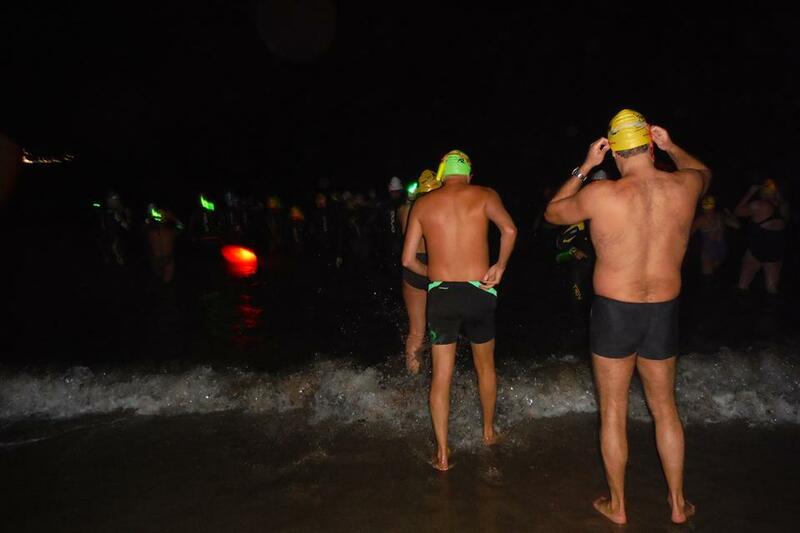 It’s a sign of how popular swimming in Myrtleville has become when you can assemble 31 swimmers – in the dark, lit up like Christmas. Assembled group at 10pm last night – amazing some concerned local citizen didn’t call it in. Dubious beach activity. I can never remember all the names of the teletubbies. Always a good quiz question. Twinky Winky, Dipsy and Laa Laa? 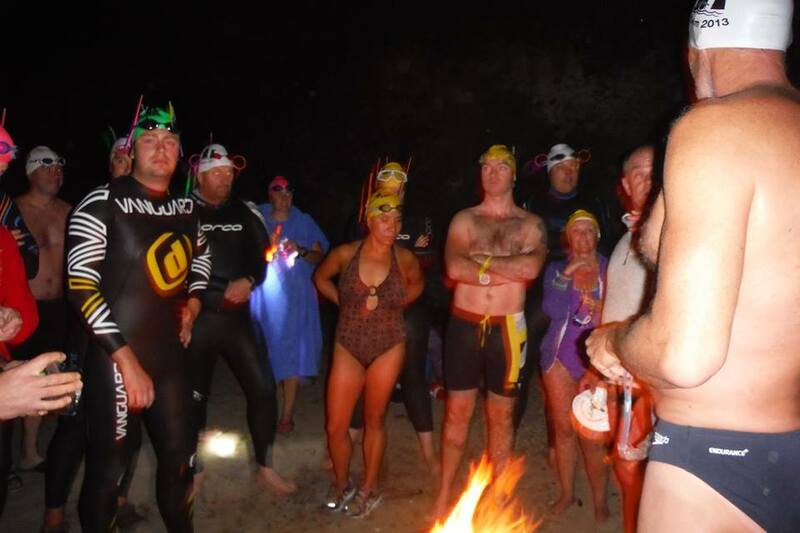 No swim event is complete with a briefing from Bernard or Ned – and lots of party hats. Why bother? Fun – and to see this – phosphoresence is beautiful! 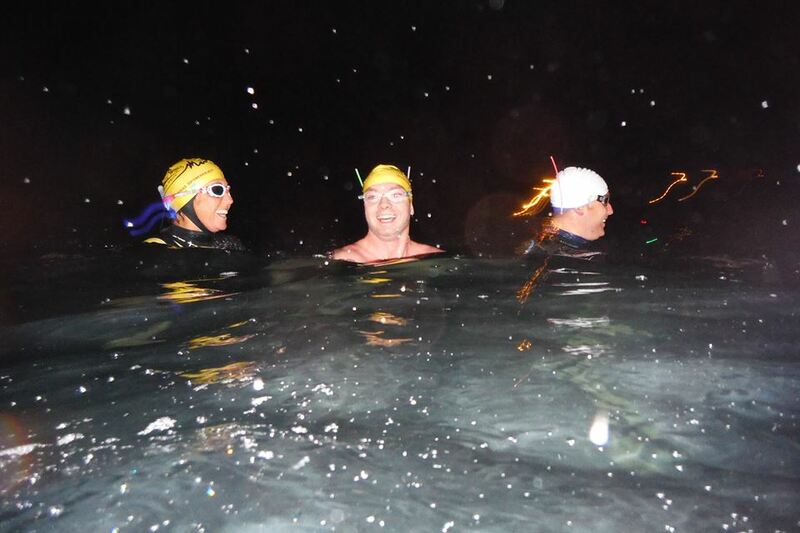 Honestly – look at the smiles: you can’t beat sea swimming. A legal high. Of course phosphorescence is well know to stimulate uncontrollable cake cravings. It was fortunate many swimmers had prepared in advance. No shortage of cakes! 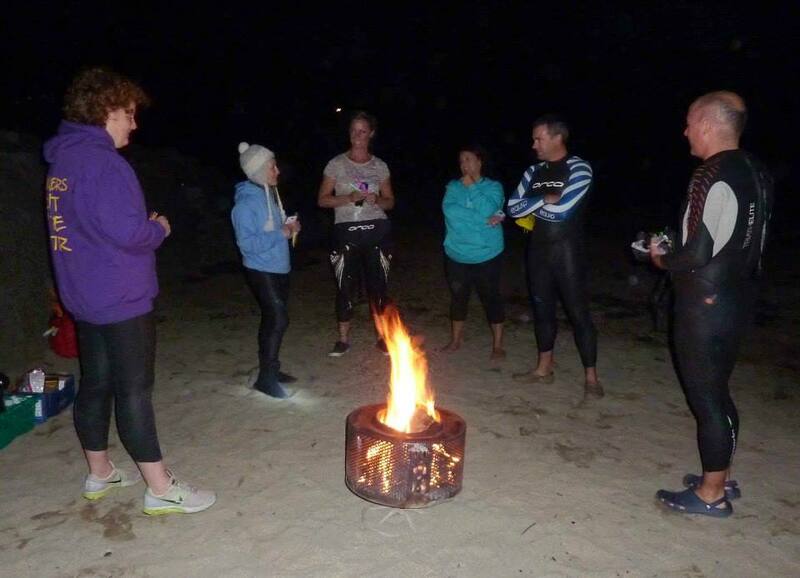 The fire was a great idea – nice focal point on the beach. For those of us who missed it (insert sad face….mine) – roll on next year. There are lots more pictures on Siobhan Russell’s Facebook page. 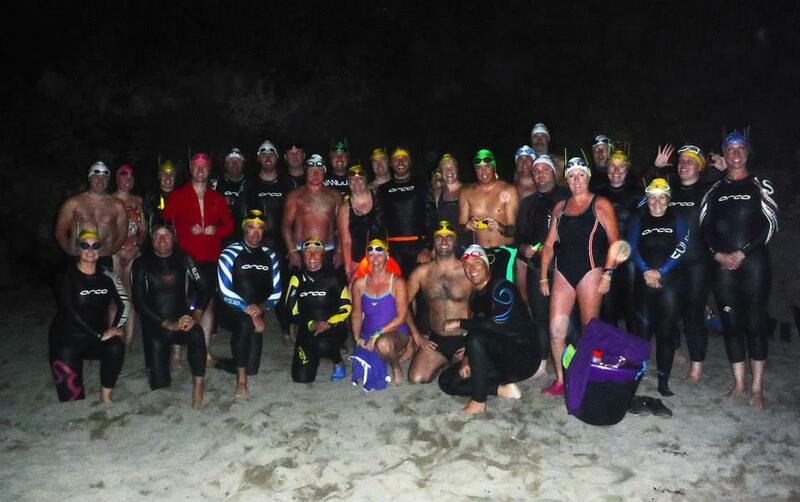 I have to say – no smart comments from me this time – occasions like this are what swimming in Myrtleville is all about. 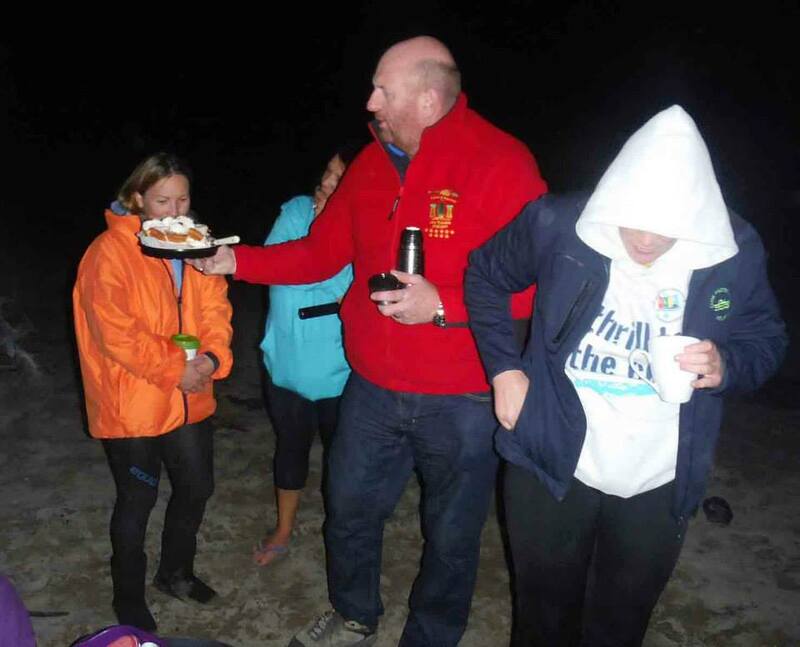 This entry was posted in Information and tagged Night swimming, Open water swimming - Cork, Open water swimming - Cork - Ireland, Sea swimming - Cork, Sea Swimming - Cork - Ireland by myrtlevilleswimmers. Bookmark the permalink.